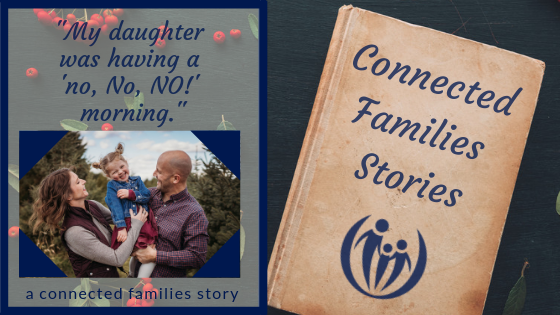 Matthew and his wife, Krista, attended a Connected Families workshop when “because we said so” wasn’t working with their 3-year-old daughter, Brooklyn. Since that workshop, about a year ago, what they’ve learned has permeated many parts of their life. As a parent, husband, businessman and friend I was starting from, “You’re responsible for your actions”, when any of my relationships broke down. 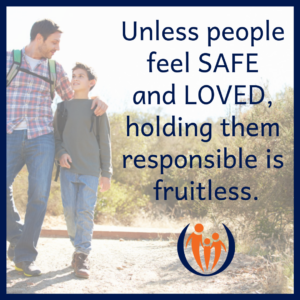 After being introduced to the Connected Families framework, I began shifting my focus and recognized that unless people feel safe and loved, holding them responsible is fruitless. 1st example: We had an early morning recently where my wife had already left the house and I needed to get our daughter ready. Brooklyn was having one of those “no, No, NO” mornings. I could have required immediate obedience and expected her to follow the morning agenda. Instead, I took a deep breath and remembered the importance of Brooklyn needing to feel safe and loved. With that in mind I picked her up, walked her over to the window, and looked at what was going on outside. I could feel her calming down in my arms as we cuddled and talked about the birds. Then I was able to ask her how she was feeling and she was able to tell me her tummy hurt because she was hungry. This love-filled approach took a few extra minutes of time but it resulted in a much calmer and productive end result. 2nd example: While doing some work on the basement, my wife and I were experiencing some conflict. Sensing the stress, our daughter said, “Mommy, Daddy, stop! We gotta get the love thing right.” She is learning how important it is to prioritize love as part of our family’s foundation. We’ve learned so much about applying “love and safety first” in work, in marriage, and in all of our relationships! Taking an extra second or two to pause redirects the conversation to serving, encouraging, and loving those around us. Over time it is the small choices that impact a family’s trajectory. 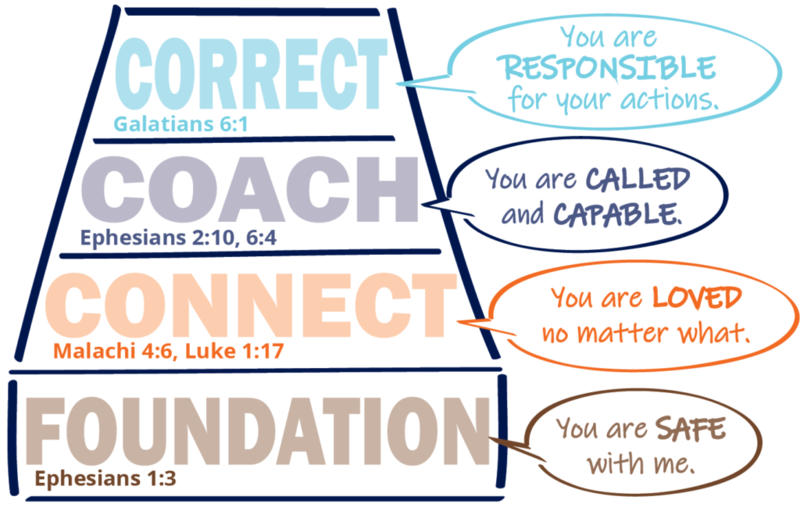 Watch how all of your relationships change when you prioritize “You are SAFE with me” and “You are LOVED no matter what” as you engage with the challenges in a truly helpful way. Every family who donates (any amount!) 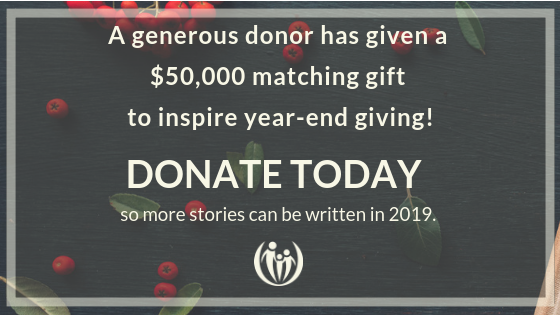 in 2018 will receive an exclusive gift, The Four Week Challenge: Help Your Kids Learn the Connected Families Framework. Through scripture, fun activities, and discussion questions your kids will become familiar with the framework in a way that will help them understand your heart for how you parent.